I was out in the market again, where in the hussle and bustle my gaze landed on a yellowy pile of plump fruit. I had to ignore it and move on as the auntie behind was pushing her way towards a crate of beets. But five steps further, there was another pile. 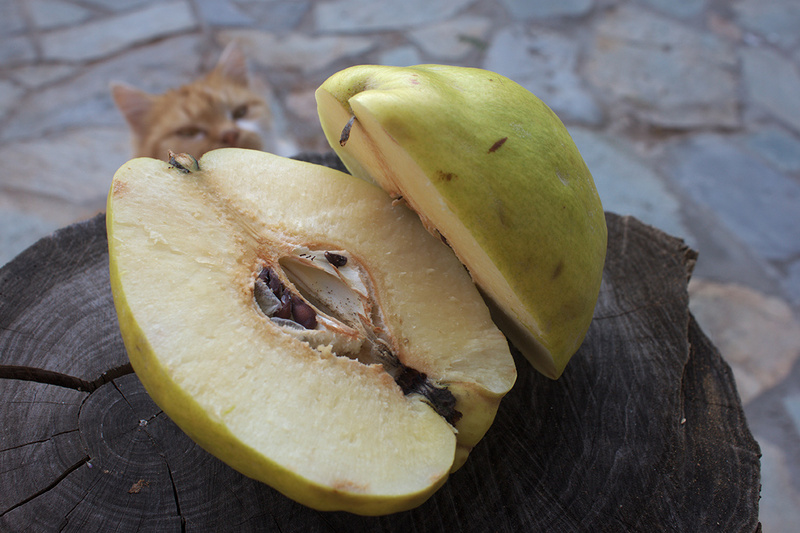 My eyes lit up and my heart started racing, there they were: quinces!!! I was elated because, I could now make my favourite jam! 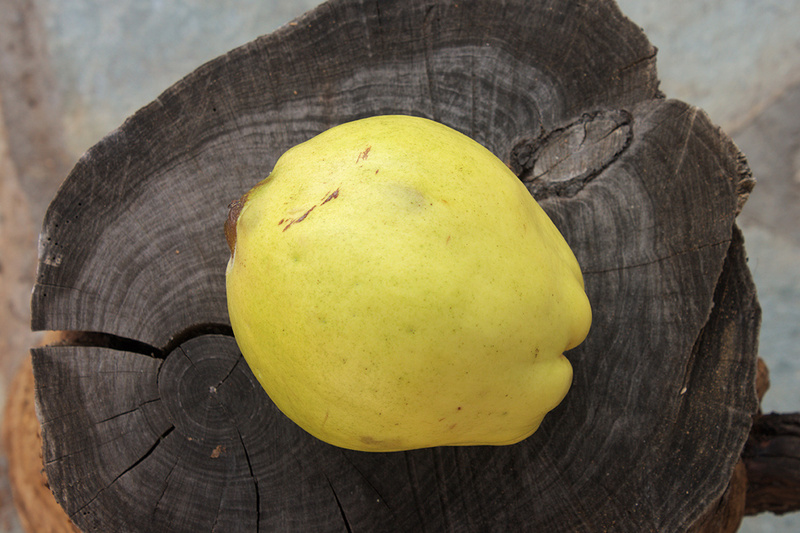 For me, quince is the best, with apricot a close second followed by forest fruit and orange marmalade. OK, I like fruit preserves, a lot! Perhaps more than one should. There is an explanation for this jammy obsession, it’s not just me, it’s a Greek thing. We have a very special style of preserve called spoon sweet. It’s more of a preserve than a jam, with neatly chopped pieces of fruit in a light syrup. This is the most traditional Greek treat you could ever have – when chocolate was nowhere close to Mediterranean shores we preserved fruit. To this day, we still use our surplus fruit for sweets and liqueurs. The lady of the house always lays out such treats for her guests: a tiny serving of spoon sweet and a refreshing glass of water. 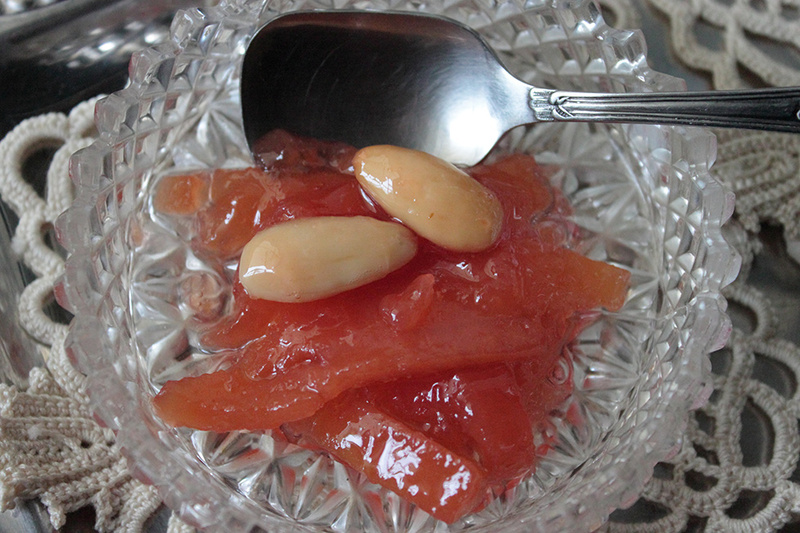 It’s the epitome of homemade Greek food and every self-respecting grandma, or foodie, makes spoon sweets by the kilo. As I mentioned earlier I also have a soft spot for preserves. 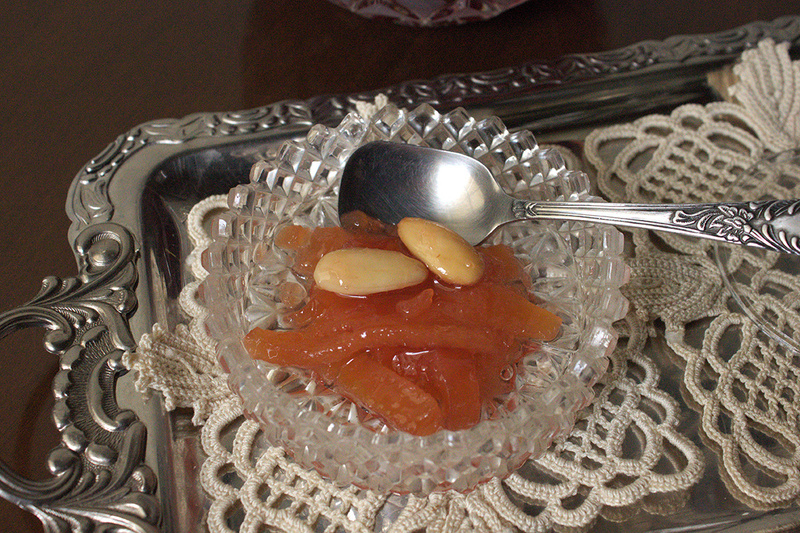 So now with just a few dollops left in my last jar of apricot jam and with quinces coming into season, I decided to make some quince spoon sweet. *granulated sugar is fine, preserving sugar normally has added pectin and for quince it is not necessary as the fruit has high pectin levels. Clean and peel your fruit. Quince can be a nightmare to handle if unripe, so let them ripen (don’t overdo it though) before preparing if need be. Cut them into sticks of 1 cm width max and try to keep the sizes roughly the same thickness, it will help with cooking. Whilst chopping, place the peeled fruit in water with a bit of lemon juice, it will prevent the flesh from blackening. Now once the quinces are chopped, place a layer of them in your pot and sprinkle with sugar. 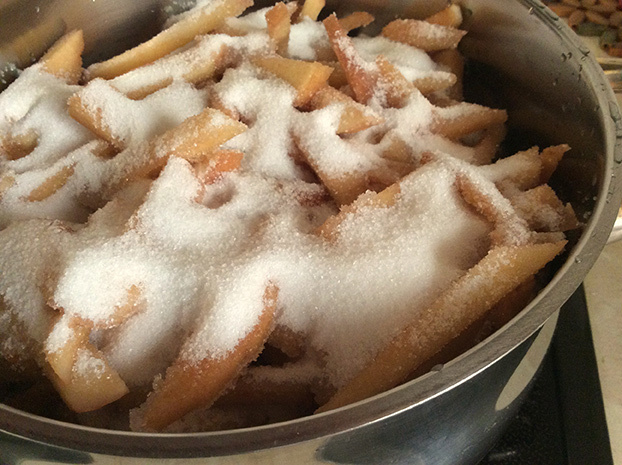 Repeat the process until all your sugar and fruit has been added. Cover with water and add the lemon juice. Bring your pot to a boil and leave for 8-10 minutes. At this stage, you might need to skim any foam that appears on the surface. Lower the fire to a medium heat for a further 20 minutes and remove from the hob. My family recipe dictates boiling in two stages; this gives your quinces a rich red colour. Whether you choose to wait or carry on straight away, you will need roughly another 30 minutes’ boiling on a medium heat. Remember to add the apple geranium leaves or vanilla and your almonds during this second stage. You can test the syrup to check when it’s set while in the pot. Dip a wooden spoon in the pot, scoop up some syrup and let it drop back down. As you do this check how the jelly is forming: before it has fully set it will run off the spoon, but when the last drops are firm and gelatinous, not runny, you are ready. It’s a really easy process: Wash your jars in warm soapy water, rinse and let them dry. Avoid drying with a fluffy towel as it might leave residue. Preheat your oven at 160 C max (gas mark 3, 325 oF) and place the dry jars for 10 minutes. Another tip, probably self-evident but worth remembering, avoid adding warm jam to cool jars, it could shatter the glass. I normally pot my jam when both are slightly warm. Traditional jams and spoon sweets can be stored for up to 3 years if sealed properly and stored in a cool, dry place. Although I am afraid you will not resist keeping them for that long. And once opened they should be kept in the fridge. Does the syrup need to cool down between two boilings? Yes, allow a bit of time to get it to room temperature. It will give you a good idea of how much the syrup has settled as well.